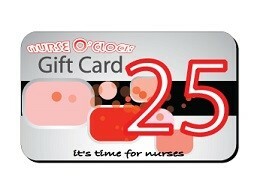 Have a chance to win a $ 25 NurseOClock gift voucher every month! If you write a review on our Facebook page you can win a $25 gift voucher. Every month we are giving away 1 gift voucher to one person. The monthly winner will be notified by us via Facebook. Every month you will have a new chance to win. Don't wait any longer and write a review to immediately have a chance to win this month.